Just in case you can’t pinpoint your state, the table below shows how much he earned in each state. Taking a look at the numbers, we can conclude that Tiger Woods has made money in 27 out of 51 states (more than half of the US states). His international earning outside of the US stands at $9,739,160. So, how did Tiger Woods do in your state? Let’s not forget that Ryder Cup 2018 is right around the corner. 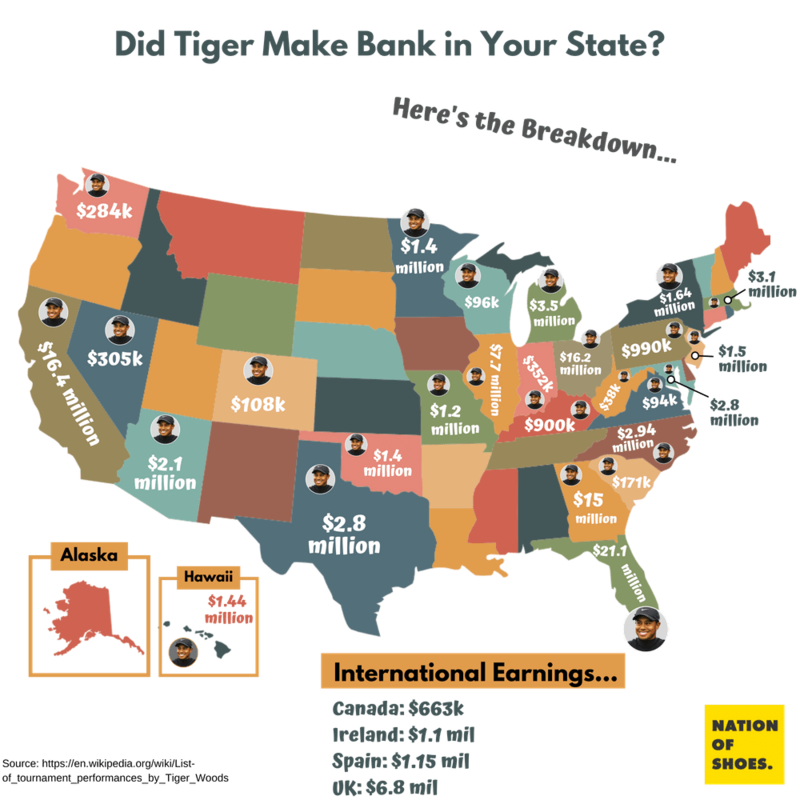 It’s set to take place in France and though it doesn’t change Tiger’s earning in the US, it does increase his chances for more international cash (at which point we will update this infographic).